It has been 15 years since the Cup of Life made its way to the world of music and Ricky Martin seems to have drunk amply from it. It would otherwise have been difficult to maintain his crazy good looks even on the 42nd year of his glorious musical life. However, the truth behind his fitness and never-fading youthfulness can be discovered in his diet and fitness routine which he has adopted with all senses intact. To many, this routine may seem a little out of the ordinary as far as typical celebrity routines may be concerned. Nevertheless, the impact of what he does for the sake of his shape and overall health is stark obvious. 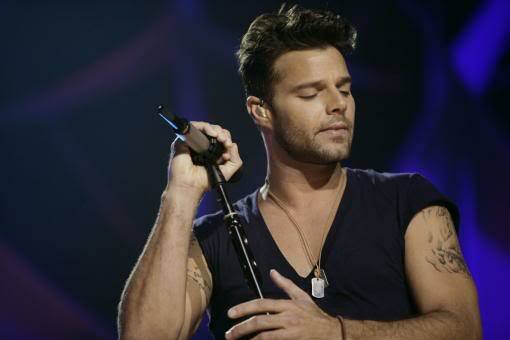 Ricky Martin is lively and fun loving by nature; personality trait that is reflective in all his work. This is one of the reasons why the inclusion of ‘fun’ in his fitness schedule is just as crucial. While regular gym exercises for overall health forms a part and parcel of his fitness schedule, he ensures engaging in Zumba, to dance his way to a flawlessly perfect shape. Zumba has been in news for a while for its multi faceted benefits which all begins with burning anywhere from 600 to 1400 calories per hour of training. Zumba includes a range of dance movements like hip hop, salsa, mambo etc and aerobic movements like lunges and squats which works wonders in causing an overall toning effect in the body. At the same time, this is one of the best ways to keep stress at a safe distance. Ricky Martin is also seen to invest a lot of his time in doing yoga which keeps him fresh, active, healthy and young irrespective of his years or a busy schedule. Besides this, he enjoys participating in outdoor sports as much as he can and often dedicates his fitness to his children who always keep him on the toes. Being a parent is perhaps the best workout that one can have! Ricky martin has switched to an entirely vegetarian diet which is border lining somewhere around Vegan. He has exiled all meat and fish from his plate completely and has expressed his happiness and health benefits in sticking to purely vegetarian meals. His plate however, is never low in nutrition considering the intake of a healthy dose of plant sources of proteins. Fresh vegetables, fruits and whole grains in a range of different tongue tingling recipes complete his needs for other essential nutrients that keep him active and glowing. While the workout schedule of Ricky Martin may be perfect for many of his fans to follow, but when the matter is about switching on to a completely vegetarian diet, it is imperative to consult a dietician. Considering the fact that animal sources are still the best sources of proteins, making a sudden switch may take a toll on overall health. Soup Recipes With Calorie Counts – Now Add More Taste to Your Diet!